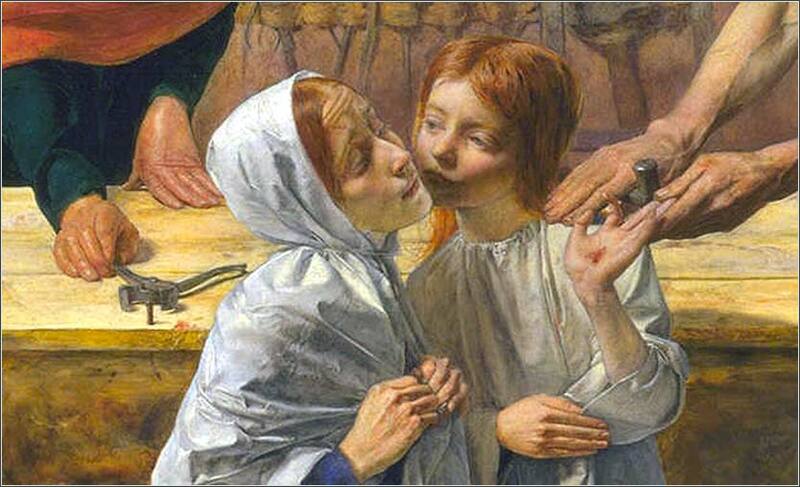 Christ in the House of His Parents (detail) by John Millais ca. 1850. Young Jesus, who has cut his hand on a nail in his father’s carpentry shop, offers a kiss to his mother, Mary. 189 people in our community are currently praying with you. The God of peace, who brought again from the dead our Lord Jesus Christ, the great Shepherd of the sheep, through the blood of the everlasting covenant; Make me perfect in every good work to do your will, working in me that which is well pleasing in your sight; through Jesus Christ, to whom be glory for ever and ever. for they will surely sprout wings and fly off to the sky like an eagle. Feeling that we are too busy to pray, however, is like feeling we are too busy to take an aspirin when we have a headache. Or here is another analogy: if you are carrying a 50-pound backpack and feel like you are about to drop, the last thing you want is to pick up another five pounds. But if you pick up the five pounds, the 50 pounds goes away. Practicing Christianity involves, without doubt, a bit of effort. Christ himself calls it a “yoke”. But look at what he gives us. First, he promises that it will be light, that we will find it gentle, that it is easy. So, that is where to start, when we “labor and are heavy laden”. We simply let ourselves remember Christ, for it is impossible to know him and not love him. 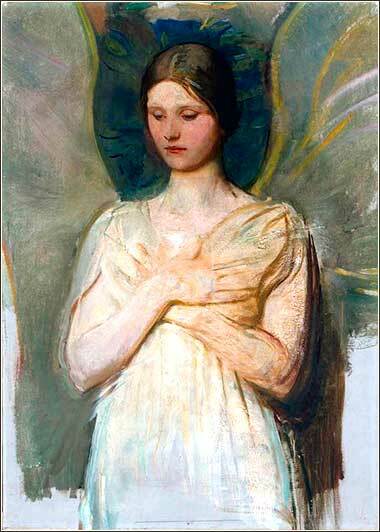 Angel by Abbot Handerson Thayer, ca. 1889. Another portrait of an angel from the master of angels, employing his elder daughter Mary as the model. Matthew 6:19-21: Do not store up for yourselves treasures on earth, where moths and vermin destroy, and where thieves break in and steal. But store up for yourselves treasures in heaven, where moths and vermin do not destroy, and where thieves do not break in and steal. For where your treasure is, there your heart will be also.